Louie has swapped his pencil case for a toolbox and with the help of Yoko, they build what their friends need. Whether it’s a bridge, a ski lift, a wind turbine or a rocket; it’s no problem! With the magic toolbox, there is no limit to what Louie and Yoko can build. And better still, Louie and Yoko show you how to do it. Louie has swapped his pencil case for a toolbox and with the help of Yoko, they build what their friends need. Whether it’s a bridge, a ski lift, a wind turbine or a rocket; it’s no problem! 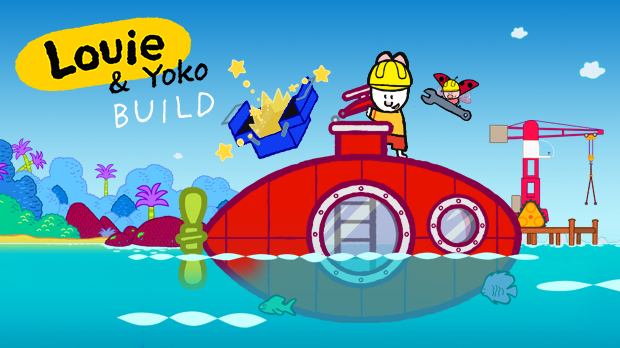 With the magic toolbox, there is no limit to what Louie and Yoko can build. And better still, Louie and Yoko show you how to do it.